The idea of hybrid cloud arose when companies started realizing that they need different types of cloud services to respond all the customers’ needs. The two main models of cloud are private and public clouds. The private cloud is a strongly controlled and secure environment. It is operated by a company and closed for publicity. The public cloud is owned and operated by a commercial provider and is available for use by other companies and individuals. Easy to guess, that hybrid cloud is a combination of private and public cloud services, a touch point between these two environments, created in order to make a unified, convenient and easy-managed environment. To be precise, using some private and some public cloud services doesn’t mean using hybrid cloud, which actually means using them in entwinement. In the hybrid cloud the external and internal corporate IT environments are connected and integrated with the unified management system. In this way companies can use a single model of management, administration, networking and security system in the internal and external environment. As a result, organizations realize the benefits of public cloud without changing the application or process. companies manage their private clouds and use the external public cloud service to integrate it with their infrastructure. 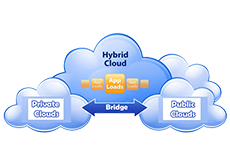 Using hybrid cloud services brings many advantages to organizations. The most significant of them are the following. 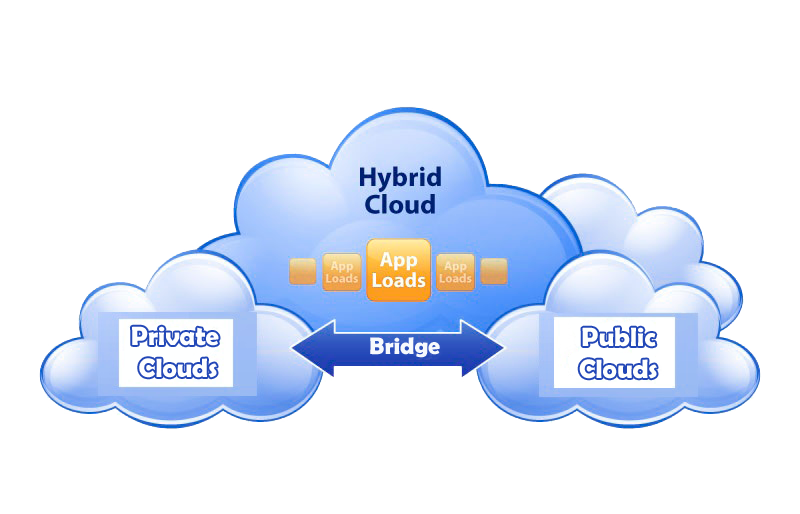 Hybrid cloud extends the scaling possibilities when it is needed as compared to private cloud. While private cloud would lead to reducing demands, the hybrid set-up ensures flexibility upon request. Although the completely public clouds bring even bigger cost efficiencies, hybrid services, however, provide access to these economies for as many functions as possible. At the same time it allows keeping private data secure. The private component of hybrid clouds provides the total security for sensitive issues and satisfies regulatory requirements for data where it is possible. Hybrid computation provides the environment thoroughly optimized to different types of data and workload that ensures a high-performing infrastructure. In practice, hybrid cloud is useful for companies when they lack their own powers for all the demands, so they can use external resources. In this way, they maintain some control over private data and optimize their infrastructure. The entire working environment becomes more manageable, efficient and predictable.